Fremont Auto Center is your Subaru dealer alternative. We offer comprehensive Subaru service and repairs – from simple oil service, to brake repair, transmission problem, or engine repair – our nationally ASE certified technicians will diagnose and repair any problems your Subaru may face. We are the premier Fremont Subaru service and repair specialists. At Fremont Auto Center, we offer complete service following factory recommended guidelines for all the specific Subaru model you own – we make sure that your Impreza, or Legacy, or Forester, WRX, Crosstreck. BRZ or Outback get the exact service recommended by the manufacturer. Every time your Subaru is brought to Fremont Auto Center it will undergo a complimentary inspection- we check battery, tires, adjust tire pressure to manufacturer recommended level, check belts and hoses, among other things – this gives us a pretty good idea of the shape your car is in. And if we find something that needs to be repaired – we will let you know, so you can plan for those repairs. Servicing your Subaru with Fremont Auto Center fulfills requirements for keeping original Subaru warranty in force. 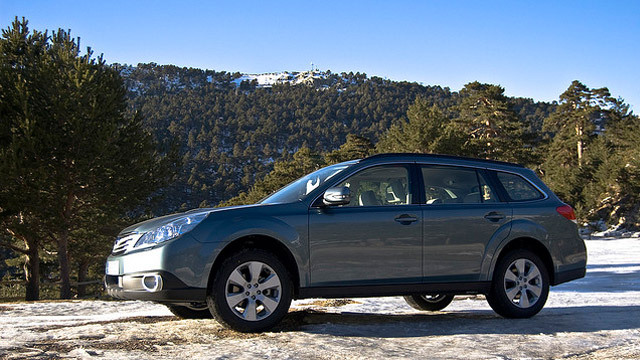 We highly recommend servicing your Subaru at the manufacturer recommended intervals. Even more important for Subaru is regular oil service, because Subarus are prone to oil leaks. Bay Area traffic is another reason for regular inspection - poor roads, potholes, speed bumps, dust, stop and go traffic – all these things take their toll on your Subaru. To overcome detrimental effects of the traffic conditions and known Subaru weaknesses, and to keep your Subaru in top shape, we recommend having your vehicle inspected by a Subaru specialist at least twice a year. Having a good Subaru mechanic is a great advantage. Fremont Auto Center is a full-service repair shop - we diagnose and repair both minor and major Subaru problems. From factory recommended service, to water pump replacement , “rough idle”, AC blows hot air, “check engine” light diagnostic and repair, brake repair, clutch repair, fuel system repair, electrical system diagnostics, transmission problems, cv joint, spark plug replacement, or major engine repairs – to name just a few of the problems our ASE certified mechanics can diagnose and fix. When your Subaru needs help – give us a call.